Boys Junior Varsity Football, Boys Varsity Football · Apr 10 Football Fundraiser! 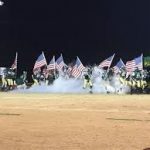 The Ayden-Grifton varsity football team (#12) will travel to Wallace-Rose Hill (#5) for the 1st Round of the NCHSAA Playoffs the Friday night at 7:30 pm. Admission is $7 and only NCHSAA passes will be accepted. Boys Junior Varsity Football, Boys Varsity Football · Nov 3 JV Charger Football Conference Champions! 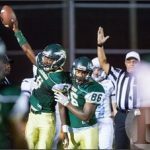 Boys Junior Varsity Football, Boys Varsity Football · Oct 18 AG Takes Down Undefeated Kinston! 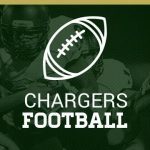 Boys Junior Varsity Football, Boys Varsity Football · Oct 3 Chargers down Blue Devils! Boys Junior Varsity Football, Boys Varsity Football · Sep 19 Football Field Receives National Recognition! The Varsity Football game scheduled for this Friday night has been moved to tonight at 7 pm due to the foretasted weather. The Chargers will be hosting East Duplin High School in our home opener for the 2017 season. Please come out and support your Varsity Football team! 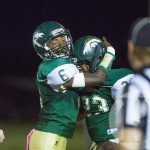 Boys Junior Varsity Football, Boys Varsity Football · Aug 26 Chargers get win at Pamlico!